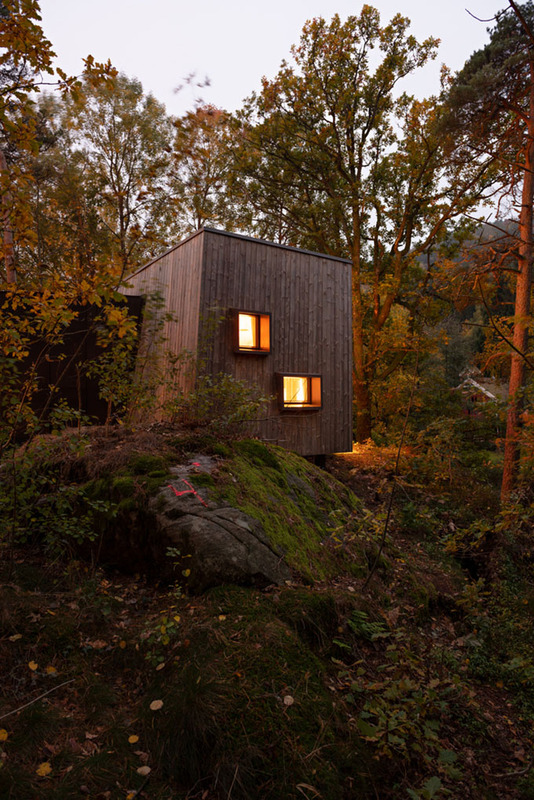 Snøhetta designed this stunning 35 m2 wooden cabin located in Sognsvannsveien 20, 0372 Oslo, Norway, in 2018. Take a look at the complete story after the jump. 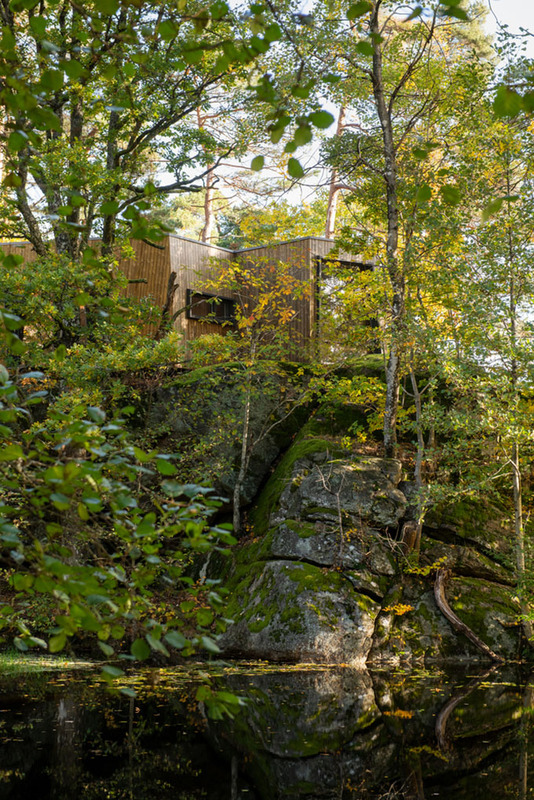 From the architects: Leaning towards the lush forest and the trickling Sognsvann creek, the Outdoor Care Retreat is located only a hundred meters from the entrance of Norway’s largest hospital, Oslo University Hospital, Rikshospitalet. 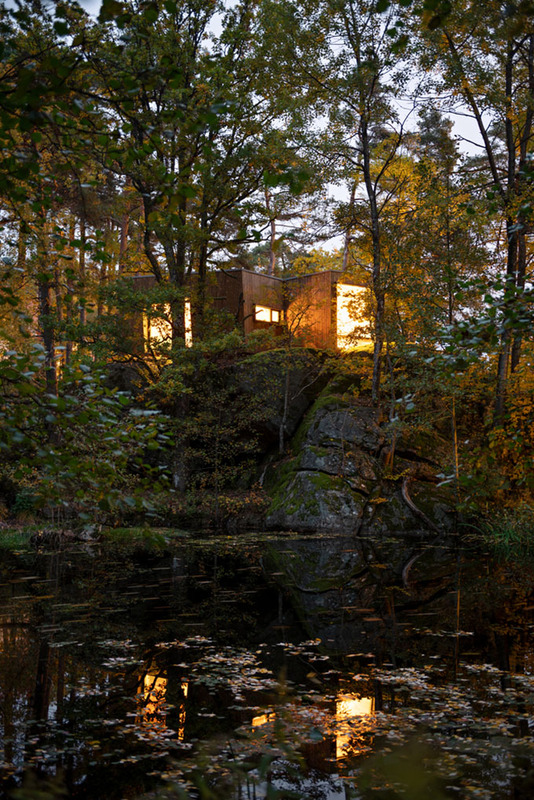 Its sister building is situated in the deciduous woodland by Sørlandet Hospital Kristiansand in the South of Norway, between oak trees and birch, overlooking a nearby pond. 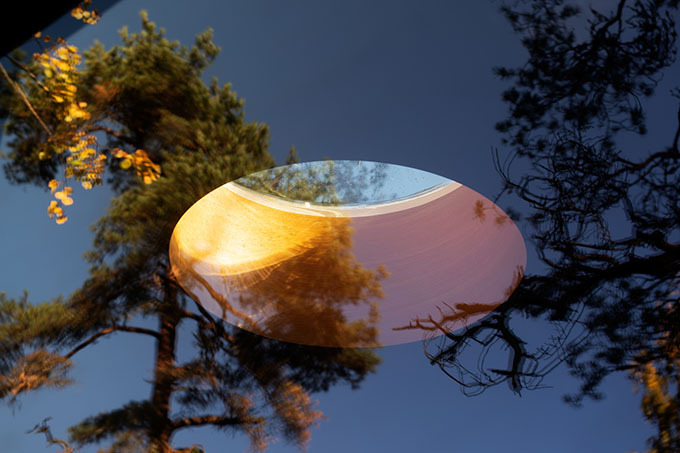 Originally developed in collaboration with the Department of Psychosomatics and CL-Child Psychiatry at Oslo University Hospital, the Outdoor Care Retreat provides a peaceful space where visitors can benefit from the therapeutic qualities of nature. “Nature provides spontaneous joy and helps patients relax. Being in natural surroundings brings them a renewed calm that they can bring back with them into the hospital. 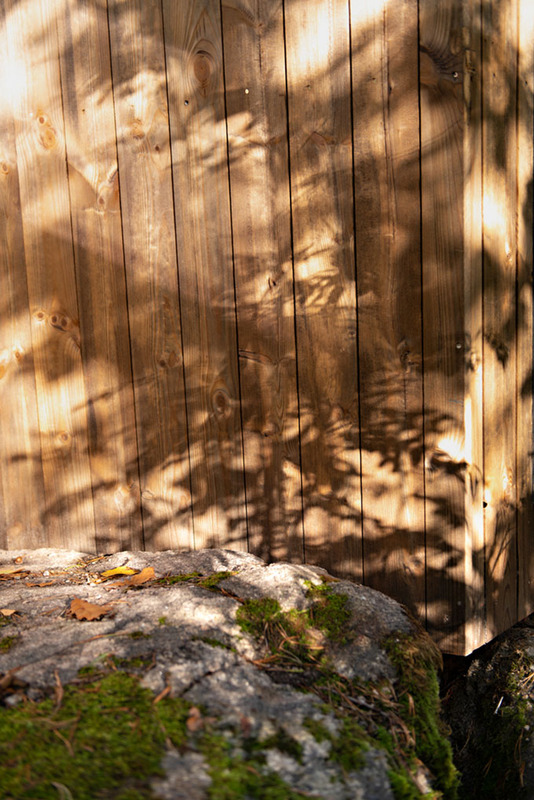 In this sense, the Outdoor Care Retreat helps motivate patients to get through treatment and contribute to better disease management”, states children’s psychologist Maren Østvold Lindheim at the Oslo University Hospital, one of the initiators of the project. The space can be used for treatment and contemplation, and for spending time with relatives and friends away from the hospital corridors. The cabins are open to every patient connected to the hospitals regardless of disease group, and reservations are managed through a booking system. The subdued 35 m^2 spaces stand in stark contrast to the monumental hospital buildings that they are affiliated with. 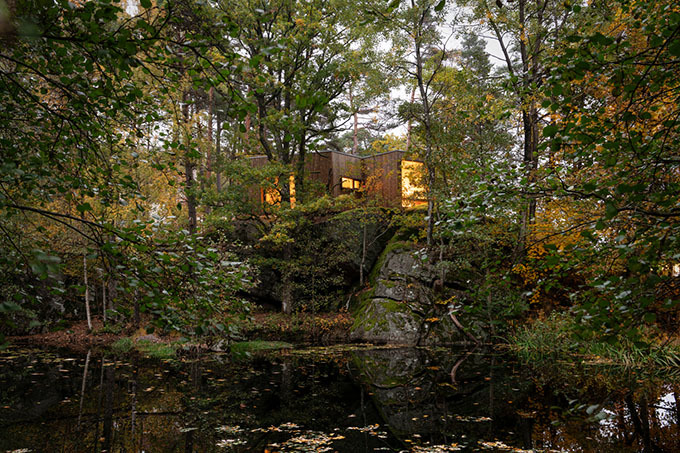 Referencing the playful construction of wooden tree cabins typically made by children, the luminous cabins are formed like skewed blocks of wood that extend into the landscape through asymmetrical branches. 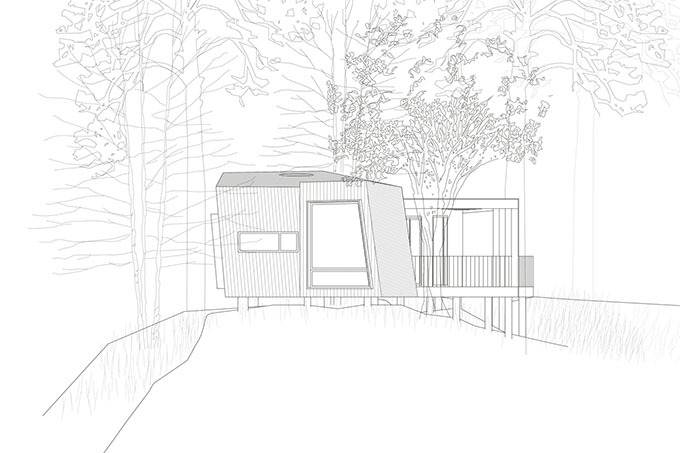 The massive wood of the main structure of the cabin will turn gray over time, blending naturally into the surroundings. 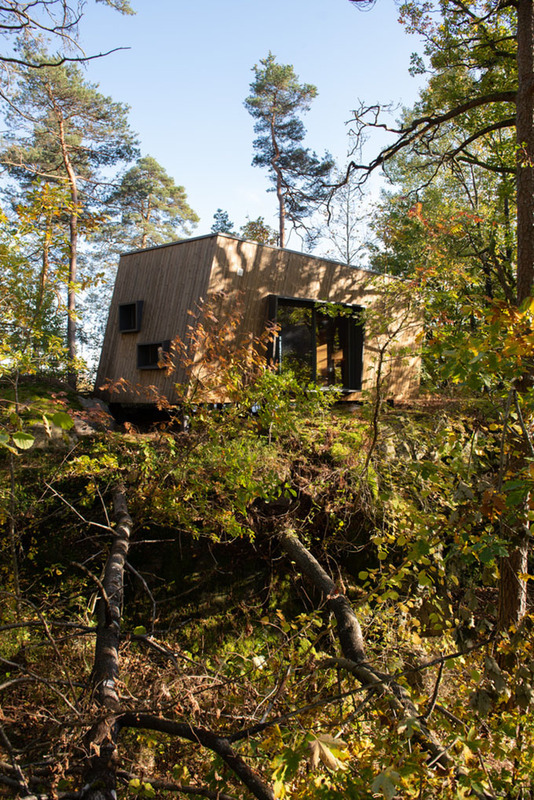 Following Snøhetta’s commitment to socially sustainable design and public space, the cabins are accessible for wheelchair users and the angled entrance of black zinc is large enough to make room even for hospital beds. 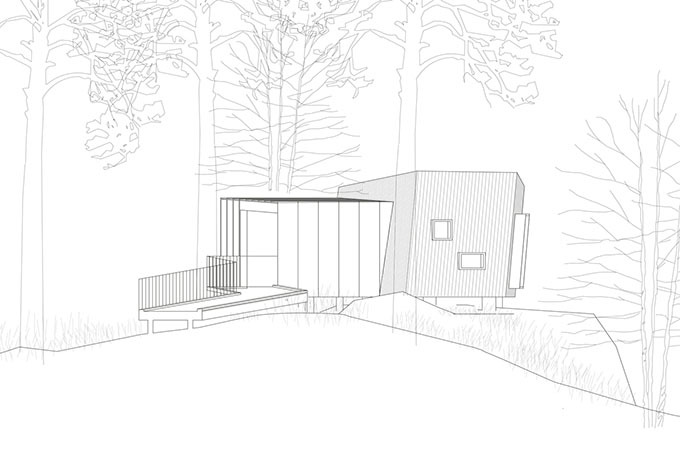 The cabin consists of a main room, a smaller room for conversation and treatment, and a bathroom. 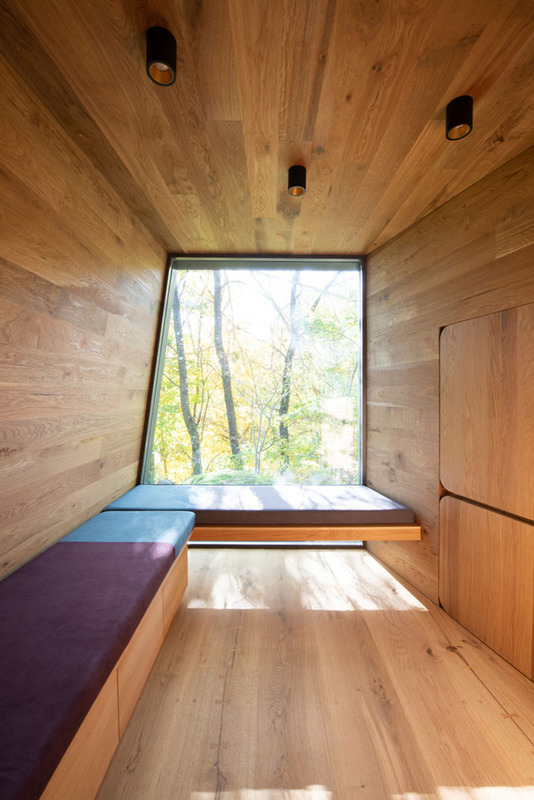 The interior is fully clad in oak, echoing the natural materiality of the woodlands outside. Inside the space, colorful, sculpted pillows can be moved around freely, allowing children to build huts or lie down to gaze at the canopies through the circular window of the ceiling of the main room. 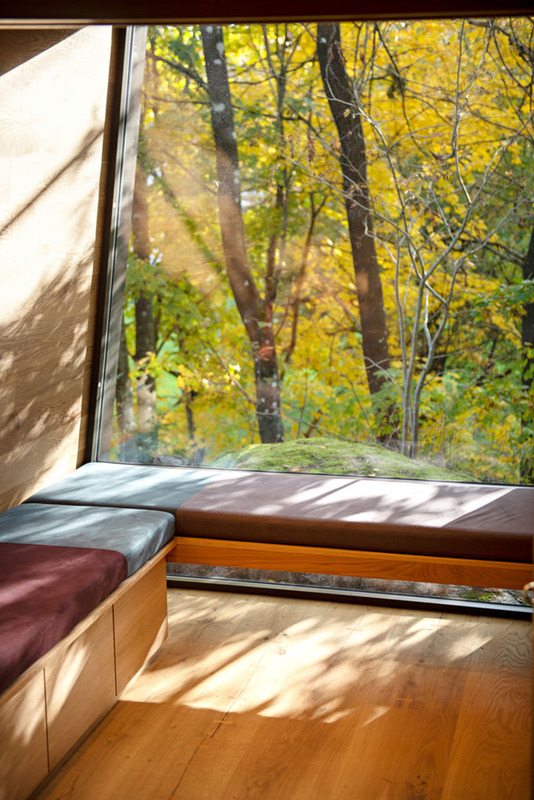 The cabin’s large glass windows can be fully opened, inviting nature into the space. 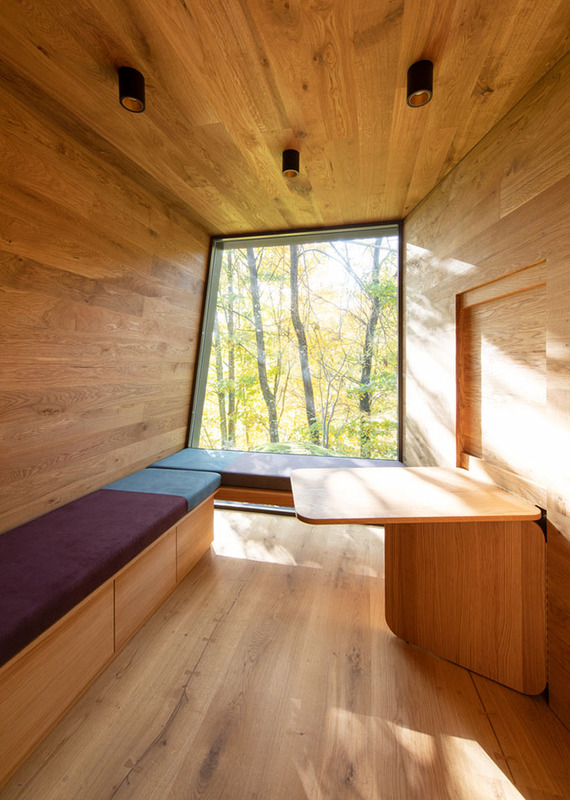 In this way, visitors can peek into the woods, smell the damp forest floor, and listen to the sound of trickling water while still being inside the cabin. 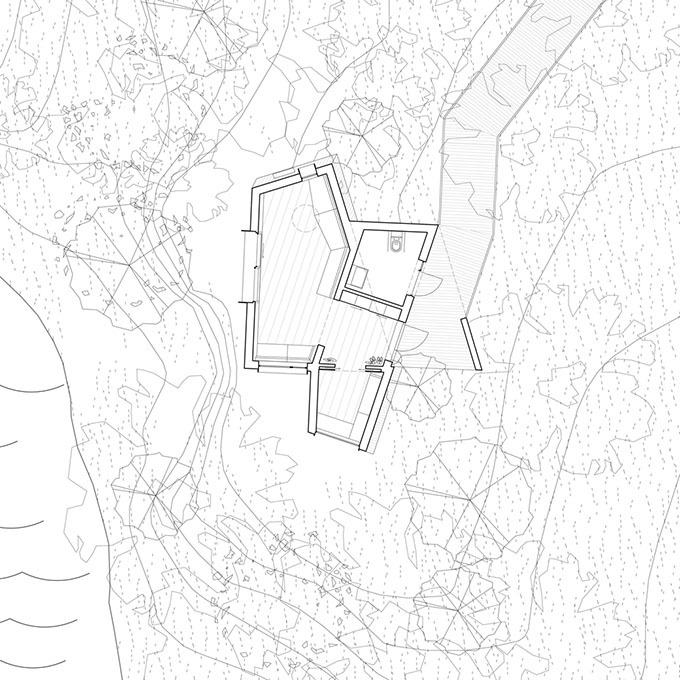 Although the cabin is integrated in the hospital campus, its secluded location and natural aesthetics allows it to be perceived as a place of its own. It is a place of muted magic, a place out of the ordinary that provides a generous and much-needed breathing space for visitors of all ages.